Contrary to Main Stream Media headlines plastered across the internet, there was NO standoff between an unconscious man now known to be Demouria Hogg of Hayward, CA and Oakland police. 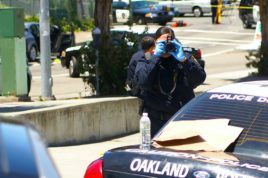 We don’t know much about the Oakland Police killing on June 6, 2015, but what we do know from a dispatch recording obtained by WeCopwatch affirms that on the morning of June 6, 2015, Oakland Police responded to reports of a man unconscious in a vehicle with “alleged” gun in the front passenger seat. 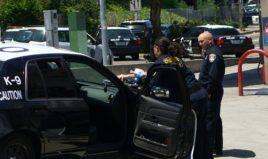 We know that Oakland Police made announcements over the span of at least an hour and fired no less than four beanbag shotgun rounds into the car where Demouria Hogg lay. None of this woke Hogg up. We know that whatever happened that led to his death, happened very quickly. Due to the length of time and amount of noise devices used to try to wake Hogg up, it is logical that the only way Hogg could have been woken up prior to him being shot would be by some level of force initiated by the Oakland police that were coming to take him into custody. It is important to note that there is a lot of communication relating to this incident that is not included; such as where to put responding officers and where to set up perimeters amongst other things. The entire records can be downloaded here. How did Hogg sleep through an hour of announcements and multiple beanbag rounds fired at his car only to be killed by Officers taking him into custody? Did OPD wake Hogg up by tasering him and then shot him when he began moving abruptly from the shock? 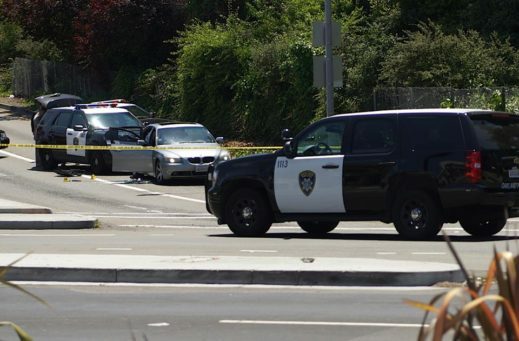 Why didn’t OPD simply approach the car to retrieve the gun if the man was clearly non-responsive to the barrage of bean bag rounds and announcements? Why has OPD not released the body camera videos to the public? If they have nothing to hide, wouldn’t the video show why they felt justified in using lethal force over other less deadly means? If you witnessed the OPD shooting death of Demouria Hogg or have information about this case please contact the Anti-Police Terror Project or We Copwatch.